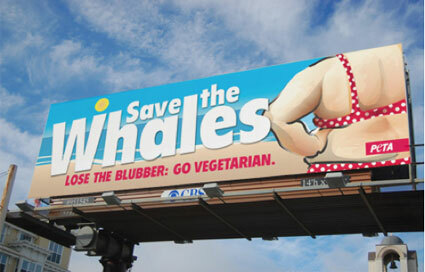 @RogerYates PeTA have become a bloated welfare corporation. They need shutting down. With www we don’t need such orgs anymore. @VeganMudblood No, I do not support PETA. They are backwards, hateful, and ridiculous. Not beneficial to animals! Support abolitionist groups! @Ocveggie Nope. Their campaigns only exploit and degrade. Not to mention make us seem stupid. It does seem that some of PETA’s tactics can be seen as maybe not the best ways to a means. Does protesting in front of a KFC really shed any light on what goes on in poultry factory farms? Does it cause anyone to skip the drive-thru and pass on a two-piece dinner or does it just make them buy more out of spite? It seems PETA may be in a situation where they are alienating the very people they depend on for support, the vegetarian and vegan community. With in-your-face tactics most vegetarians and vegans are more and more wishing to not be associated with PETA as they feel it makes them look crazy for adopting a healthy, compassionate lifestyle.